Click here to join us on Facebook for up-to-date info, pics and more! Get your regular updates about our jams & gigs! Our Wednesday jam at The Royal Oak in Hampton is starting a little earlier at 8.30pm, ending at 11pm. The house band is fronted by a different guest artist every week. Click here for map and venue info. 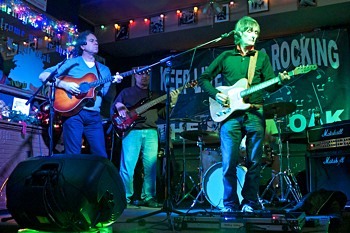 Jam at The Cavern in Raynes Park. 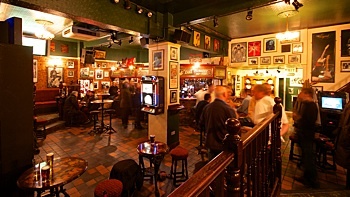 Named after The Cavern in Liverpool, this pub is a Free House, full of music memorabilia and has a very pro-live music landlord. The house band is fronted by Chris Dowling every other week and a different guest artist alternate weeks. THE CAVERN IS AIR CONDITIONED! "Showreel" of several guest artists including Mick Rogers of Manfred Mann's Earth Band, Papa George & Masashi Hara of Georgie Pie. Thriving jam sessions to which all are welcome, featuring a wide range of musical styles - rock, funk, blues, R'n'B and soul with a bit of reggae, jazz, latin and pop in the mix, with a great range of musicians taking part including players that work with houshold names. A different guest artist fronts the Jam-Pact house band each week (full list here), along with jam session organiser Tony on drums and the house bassist of the day. Friendly and enthusiastic audiences add to the great atmosphere, so whether you're a player or a fan of live music there are no better venues at which to spend your Wednesday and Thursday nights in the Surrey, Middlesex and South West London areas. We have been blessed with the appearance of many great talents at our events including Mick Rogers (Manfred Mann's Earth Band), Buddy Whittington (John Mayall's Bluesbreakers), Lightnin' Willie, Micky Moody (Whitesnake), John Idan (The Yardbirds) and Papa George to name but a few! Wednesaday Jam Session at The Royal Oak music pub in Oak Avenue, Hampton, Middlesex TW12 3NR. 8.30pm start, FREE. 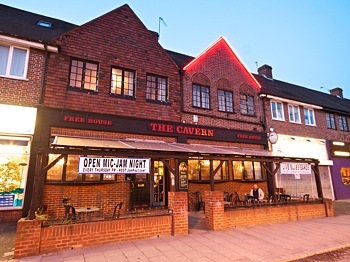 Thursday Jam Session at The Cavern music pub in Coombe Lane, Raynes Park SW20 0AY. 8.30pm start, FREE. The jam sessions are run in the following format: players/singers put your name down on the player list under your instrument/vocal category, we then put line-ups together from this list to play two-song sets. We don't operate a "first come first served" system, we try to put the most suited players together to get the best sets we can. It is very rare for someone not to get to play, however, early arrival is more likely to ensure you an optimum line-up, as if it is busy, which it usually is, it's easier to plan for players that are present. Depending on how many players for a particular instrument are there on the night, you may get to play more than one set. Please note, this is not an open mic session for original material. If you are a singer, you need to know some "standard" songs as there isn't time to teach players new songs on the fly. Original or less than standard songs are OK if there is at least a guitarist and bassist there that already know them. Jam-Pact: Suppliers, promoters and organisers of live music, jam sessions, bands, live music pubs, clubs & venues and function bands in central, south & west London and Surrey, including Wimbledon, Surbiton, Kingston, Hampton, Richmond, East Sheen, Mortlake, Barnes, Putney, Cobham, Walton & Weybridge.